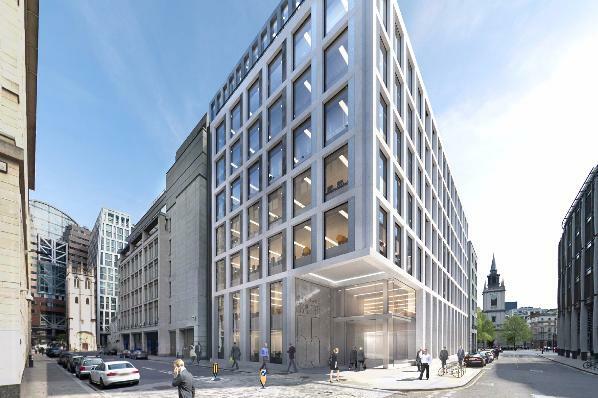 Beltane Asset Management and Angelo Gordon have been granted planning permission for the refurbishment and extension of 55 Gresham Street, EC2. The property was acquired by the joint venture in November 2014 from Topland. The terms of the deal were undisclosed but it is understood the price agreed was in excess of £40m (€55m). The building, originally developed by Land Securities in 1991, is let to the Association of British Insurers on a 25-year lease expiring in March 2016. The joint venture partners have consent to increase the current 85,000ft² (7,896m²) building to 121,000ft² (11241m²). The Fletcher Priest-designed nine-storey scheme involves two new floors and expansion of the lower six floors. It will infill the existing atrium, create a new ninth floor roof terrace, and introduce a new main office entrance on the corner of Gresham Street and Wood Street.